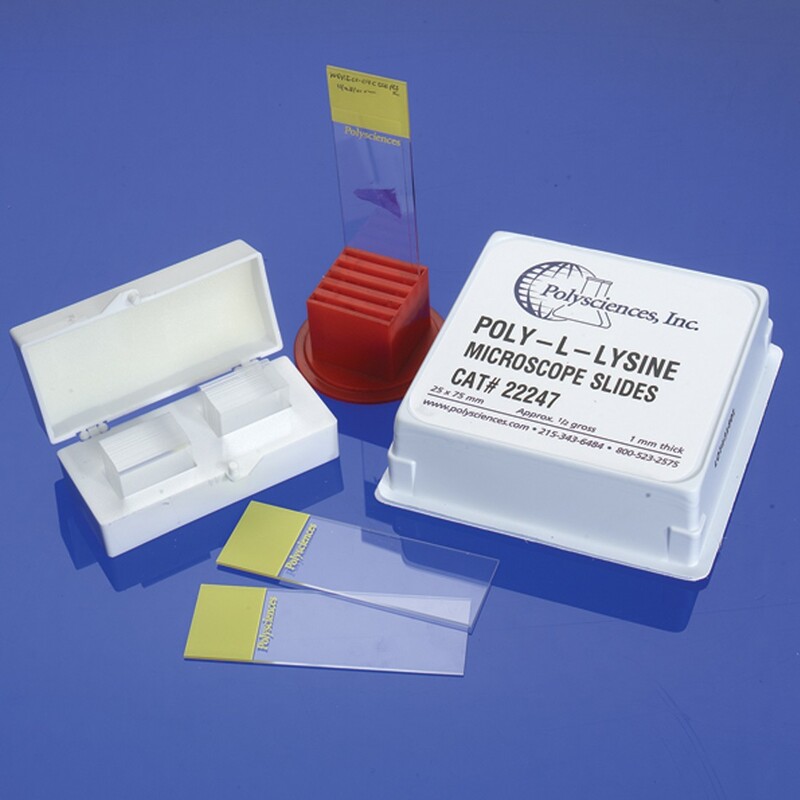 Poly-L-Lysine Coated Microscope Slides | Polysciences, Inc. Slides are coated with Poly-L-Lysine to permit electrostatic coupling of sample to slide. The relative adhesion level permits easier manipulating of samples than with silane coated slides. Use of Poly-L-Lysine Microscope Slides does not affect staining procedures.